Marc and Michael continue their discussion on reincarnation, in this piece, reflecting upon the pulses of cultural transmission from east to west, and that we are now in an exciting time period of being able to evaluate all past traditions and wisdom of the global village, evolving a deepened empirical understanding and experience of the nature of God and the journey of the soul through more than one physical embodiment. Are you ready to participate consciously in the Evolution of Love? 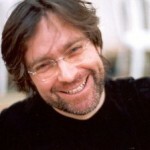 If you are then come to study and practice with spiritual luminary Dr. Marc Gafni. Michael Murphy, Founder of Esalen, in conversation with Marc Gafni, explore the role of World Spirituality in the evolution of the Kosmos. Marc brings new insights to Murphy’s Seekers and Sages dialogue series from the Kabbalistic perspectives of Abraham Kuk, a visionary, mystical authority on the Kabbalah (as well as an orthodox rabbi who was important to the formation of modern Israel). Kuk’s reading of the Kabbalah emphasizes the evolutionary possibilities latent in the human mind, heart and body. 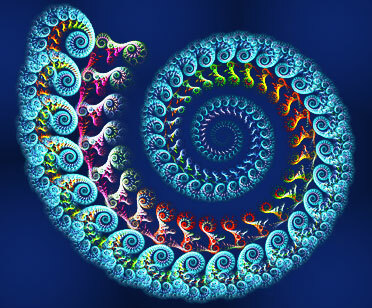 And it is these key evolutionary possibilities that lay the foundation for a truly World Spirituality to emerge. Michael Murphy is the co-founder and chairman of Esalen Institute and the author of both fiction and non-fiction books that explore evidence for extraordinary human capacities. During his forty-year involvement in the human potential movement, he and his work have been profiled in the New Yorker and featured in many magazines and journals worldwide. Dr. Marc Gafni holds his doctorate from Oxford University. He is a rabbi and an iconoclastic teacher of Kabbalah and World Spirituality. He is the director of Integral Spiritual Experience. He is a core founder and faculty member of iEvolve: Global Practice Community. In 2011, Dr. Marc officially launched the Center for World Spirituality as the founder and spiritual director in San Francisco, CA. Michael Murphy, founder of Esalen Institute and best-selling author penned a novel in 1972 titled Golf in the Kingdom. Now, Golf in the Kingdom is set to become a blockbuster movie sensation and has already hit theaters across the United States. Check out Michael Murphy in dialogue with Dr. Marc Gafni as they discuss World Spirituality and what it means to be a dual citizen in the 21st century. Join us for Seekers and Sages Evening Program Series: The Emergence of Evolutionary Panentheism, featuring Michael Murphy & Marc Gafni, on Monday, March 21st, in Belvedere, California. Michael Murphy and Marc Gafni continue the conversation about the role of evolving souls in the evolution of the cosmos started at our October Seekers and Sages evening. Marc brings new insights to the Seekers and Sages series from the Kabbalistic perspectives of Abraham Kuk, a visionary, mystical authority on the Kabbalah (as well as an orthodox rabbi who was important to the formation of modern Israel). Kuk’s reading of the Kabbalah emphasizes the evolutionary possibilities latent in the human mind, heart, and body. 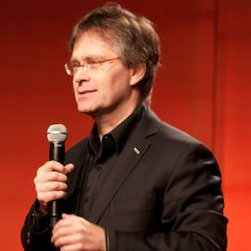 Dr.Marc Gafni holds his doctorate from Oxford University and has direct lineage in Kabbalah. He is a Rabbi, spiritual artist, teacher, and a leading visionary in the emerging World Spirituality movement. He is a co-founder of iEvolve: The Center for World Spirituality, a scholar at the Integral Institute, and the director of the Integral Spiritual Experience, as well as a lecturer at John F. Kennedy University. The author of seven books, including the national bestseller Soul Prints and Mystery of Love, Gafni’s teaching is marked by a deep transmission of open heart, love and leading edge provocative wisdom. Gafni is considered by many to be a visionary voice in the founding of a new World Spirituality and one of the great mind/heart teachers of the generation.